Welcome to the website of Anthropose Pvt. Ltd. At ANTHROPOSE, we value your privacy and it is our goal is to protect the privacy and security of your personal information. Information we collect from or about you may vary depending on how you use the Website, information you may choose to provide to us and to other sources. 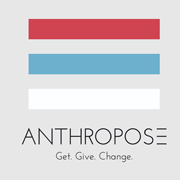 ANTHROPOSE collects information from you when you choose to provide it to us. This includes, but is not limited to, individually identifiable information, such as your full name, a user name and password, email address, phone number, physical address, credit card information and other billing information. ● Registration and Ordering: Before using certain parts of this Website or ordering products or services, you must complete a registration form and/or create an account. This will require you to provide certain personal and billing information. ● If you create an account using your login from a third party service, like Facebook or Twitter, we will access and collect the information that your privacy settings on that third party service permits us to access so that we can create your account for you. Additionally, if you choose to connect your contacts and address book information with your account, we will also collect the contact information of your friends so that you can connect with your friends when you use our Website. ● Live Support: If you choose to contact us via Live Chat on the Website, we collect your name and e-mail address and any other information you choose to provide to us to help better serve you. Please note that we store all chat information and transcripts for a period of time, as determined by ANTHROPOSE. These transcripts are only accessed by ANTHROPOSE for training and customer service purposes. ● Written Reviews: ANTHROPOSE will require a valid registered e-mail address and a review name when it comes to completing the review form on the Website in relation to a specific ANTHROPOSE product. Following the moderation process, your review, alongside your review name and date, may be posted on the Website. ● Video Reviews: You may submit a video review on any social media platform of your choice and tagging us. Following the moderation process, the video may be uploaded onto our Website. The video may be rated, flagged or shared by users visiting the Website through e-mail or across social networking websites (e.g. Facebook, Twitter, LinkedIn, Instagram, Google+ or other websites). ● Cookies: Certain parts of our Website require cookies. You may adjust your browser settings to limit certain tracking or to decline cookies, but by doing so, you may not be able to use certain features on the Site or take full advantage of our offerings. ● Information Collected From Other Sources: We may obtain information about you from other sources, including commercially available sources, such as social networks, data aggregators and cooperatives and public databases. This information may include name, demographic information, interests, and publicly-observed data, such as from social media and shopping behavior. We may combine the information we receive from and about you, including the information you provide to us, information we receive from third parties and information we automatically collect (as explained above) . The information that you provide to us, including information that we automatically collect about you (as explained above) and information we receive from third parties may be used to make ANTHROPOSE’S marketing efforts more efficient. We also may share your email address with a third-party, such as a media agency, to send email and other communications, including interest-based advertising to you on our behalf. We may also share aggregated or de-identified information about you, including based on your email address, with our advertising and marketing partners, and third-party media properties, including social media sites, to allow them to send targeted advertising messages on our behalf. If you wish to stop receiving promotional communications from these third parties, please email us at [email protected] with “Opt Out” in the subject line along with your full name, address and email address in the body of the email. In addition, you may be able to opt out of these ads by clicking on an icon in the ad or through the privacy settings in each media property. We may use your written and/or video reviews on our Website, and/or within ANTHROPOSE for product improvement, product development, customer experience improvement, and possible communication/PR purposes. Shopping with ANTHROPOSE is easy and we strive to ensure that your information is safe and secure. As a result, ANTHROPOSE has implemented certain physical, administrative, and technical security measures to protect against the loss, misuse or alteration of the information you provide. We do not intentionally collect personally identifiable information from children under the age of thirteen (13). If you are under the age of thirteen (13) you should not register, order, purchase or provide information to or from ANTHROPOSE. If you have knowledge that a child under the age of thirteen (13) has submitted Personal Information to us, please email us at [email protected] and we will remove that child's personal information from our files. You can (a) access, correct, or update your Personal Information, and/or (b) disable your online account to prevent any future purchases through that account. You can make these requests by emailing your request to ANTHROPOSE Customer Service department at [email protected]. Please clearly label the subject line "Corrections / Disabling Account," and do not email your credit-card number or other sensitive information. In specific circumstances, proof of identity and payment may be required. If you would like to unsubscribe from receiving marketing or promotional emails from us, please click on the "Unsubscribe" link contained in any promotional email or contact us at [email protected] (and put "Unsubscribe" or "Opt Out" in the subject line).